Tyson Fury has hinted he would like a potential rematch with Deontay Wilder to take place at Old Trafford. 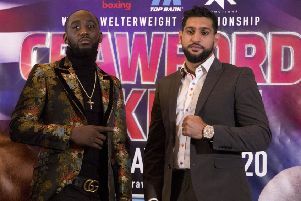 The 30-year-old drew with Wilder in Los Angeles on Saturday in his bid to win the WBC heavyweight title from the American. Manchester-born Fury was in attendance at Old Trafford as Manchester United drew 2-2 with Arsenal on Wednesday in the Premier League. Fury was denied one of the greatest comebacks in boxing history after scores of 115-111, 112-114 and 113-113 over the weekend. He impressively out-boxed the champion, although Wilder retained the title having knocked the Briton down in the ninth round, and again in the 12th.